Ya know, I totally missed this. I’m not sure how that happened. I knew Ross and S.A. were sold to Orvis and I thought it made pretty good sense. Orvis has struggled to convince many anglers that they are an every-man company, suffering from a stodgy image (undeservedly, in my opinion). Another way of looking at their problem would be to say that guys aren’t putting Orvis stickers on their Yeti coolers. Ross, now Ross is an every-man brand and you actually do see Ross stickers on Yetis every now and again. Ross could bring some of that Yetiness to Orvis and that would seem to be a pretty good pickup. Then, when I wasn’t paying any attention, Orvis turned around and sold Ross (while keeping S.A.) to the Mayfly group (which also owns Abel). Ross used to be very strong on the Made in the USA theme and Abel is as well. Ross is mid-market price-wise and Abel is way, way, way at the top. The two do compliment one another, so that is nice, but I’m still scratching my head over the Orvis purchase and then sale of Ross. I guess they didn’t have a plan to keep Ross from the start. You can’t say they gave it a shot in just a few months. I’ll be interested to see what comes of the Ross brand. I hope it continues to make reels in the US and I hope they reclaim their place on your Yeti. I’ve managed to take the H2 out on a couple of trips and at the end of each, I’ve been very reluctant to send it back. I got to take it to Cuba back in 2012 and this year I got to take one to Long Island. I know I’m on record as saying the reel is really the important thing, and I still agree with that. And yet… I really love this rod. 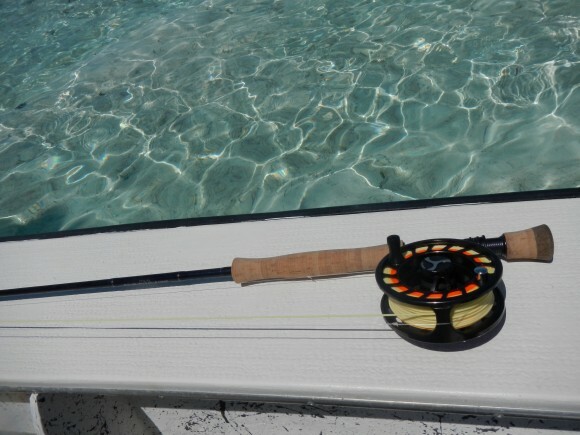 It is light and powerful and accurate and, well… ya know… it is a good rod. 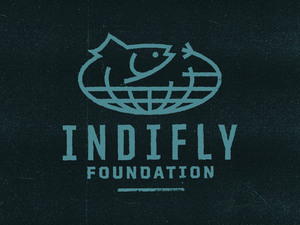 We live in a good age, a golden age of fly rods. There are so many out there and overall, they are of a high quality. So, you are not shy of options, and even with all those options, I’m pretty confident in saying, this would be one of the best. The H2, mollusks not included. The rod is just plain goodness. 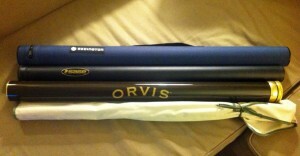 On the trip to Long Island I brought along the Safe Passage rod case from Orvis. 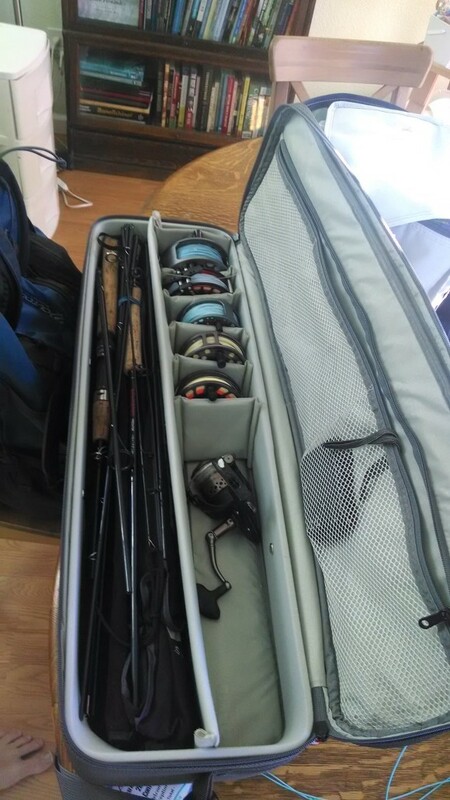 In it, I had 5 rods, 6 reels and flies (and whatever else I could fit in it). 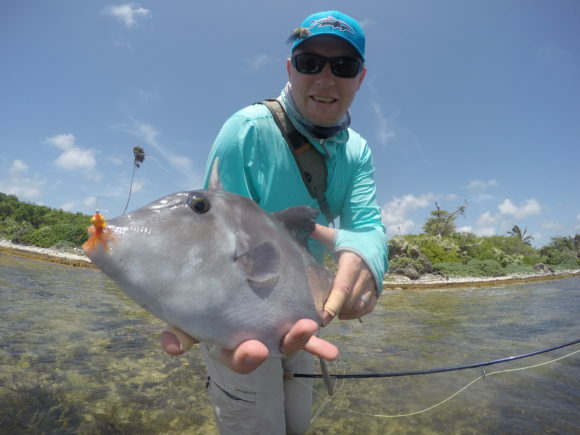 For all those who question if you can bring rods and reels and flies along on your flight, I can tell you that from the US to the Bahamas and back, you certainly can. If your airline is playing by TSA rules, you should have no problems, so long as you don’t have really, really massive hooks in your bag. I liked the Safe Passage case and I had no issues about the length of the bag as I put it in the overhead storage on every flight that offered that (Pineapple Air does not offer overhead storage so it sat on my lap). It is a solid piece of luggage/gear. It is well made and purpose built and way better than my soccer sock + cam strap rod carrying contraption I used previously. Are those pliers in your pocket or are you happy to see me? I got a package in the mail today (three actually). I was excited to get a peek inside. Those are some nice pliers. I haven’t had really nice pair of pliers before. These are really nice. They fit well in my hand. They feel very well made. They have a weight to them, a gravitas. No barb shall stand in my way. No wire or heavy mono shall remain uncut. It feels very serious, like I should be serious with them in my hand. My daughter asked if she could have them… I laughed at her outlandish request. Up to this point I’ve bought the cheap pliers off Amazon. Just whatever looked serviceable and was under $20. 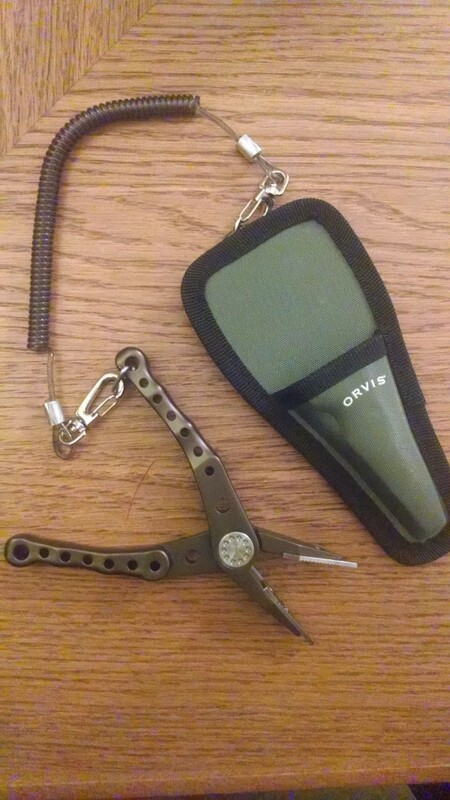 The Hydro pliers from Orvis are about $140-170, so a different ballgame altogether. They feel like a different ball game too. They feel so much better made, so solid. 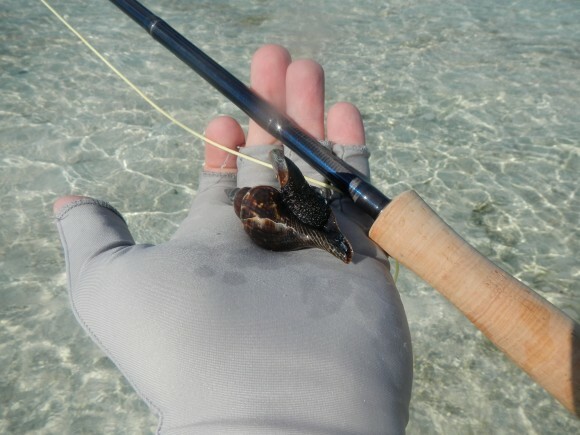 Very much looking forward to getting these out in Long Island in the Bahamas come March. This is the freshwater version, which is just a little bit smaller than the saltwater version, but is equally suited for a salty life. Well, I didn’t see this coming. 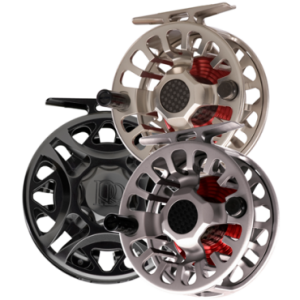 It was announced that Orvis has bought Ross and Scientific Angler from 3M. Hearing that the Ross and SA lines would not be absorbed into the Orivis brand made me think that this might actually be a pretty savvy move by Orvis. Orvis has a perception problem. For reasons probably related to there being such things as Orvis pleated khaki’s, Orvis has an image in the fly fishing world as being stodgy and elitist. Now, personally I think the reputation is off-base here and I think they have some really fantastic gear at price points equal to, or even less than, some of the other top brands in the business. Ross, on the other hand, is a working man’s brand. It has none of the brand baggage that Orvis seems to carry. If you combine the brands, you lose the cool factor of the Ross brand… that Made in the USA, solid-at-a-solid-price perception. While you don’t see many Orvis stickers on the Yeti coolers, you do see Ross stickers, and that’s why the deal, as it stands, makse sense to me. The Trout Underground has some theories of his own. What is going to get packed is packed. The rest of the time before I take off is really just moving from one place to another. The trip is more or less set in motion. The lines are a mix of Orvis, Rio and SA lines and for the tarpon rods (the 10 and 11) I have both floating and either clear int. sink tips or full clear int. sinks as well. I’m feeling fairly well equipped. 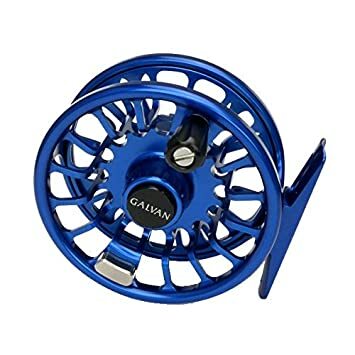 In fact, I may be over-equipped and I’ll have to consciously switch reels and rods from time to time to make sure I get some time with different rigs. Four rods. Six reels. Seven spools/seven lines. I’ll be carrying on the rods and the reels and I’ll be hoping the rest of my stuff makes it there. Tomorrow morning I get on a flight for the first leg of the journey. I’ll meet up with the others down in Mexico tomorrow night and from there, the adventure begins. I’ve spent a few hours talking to Steve on the phone. He’s a guy I like and respect. 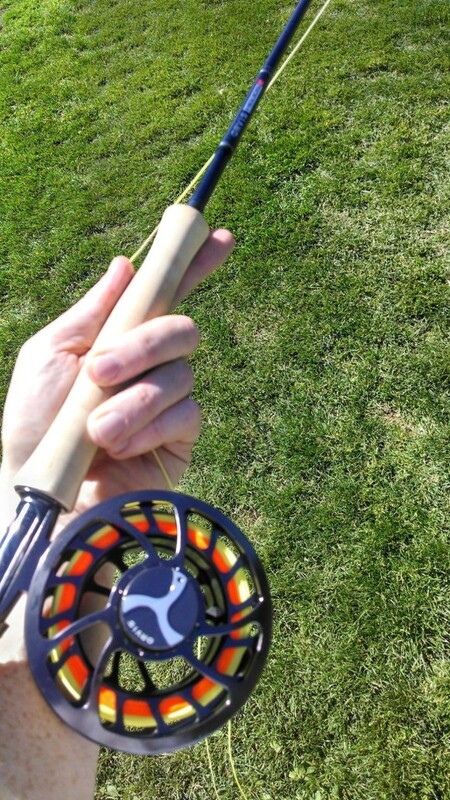 He’s doing some good things at Orvis, not least of which is the Helios Rod and Mirage Reel series. Here’s a video about the Mirage. PS – saw this over at Flatswalker.